Taste Trunk is a delicious box that I just started subscribing to recently and it is quickly becoming one of my favorites!! 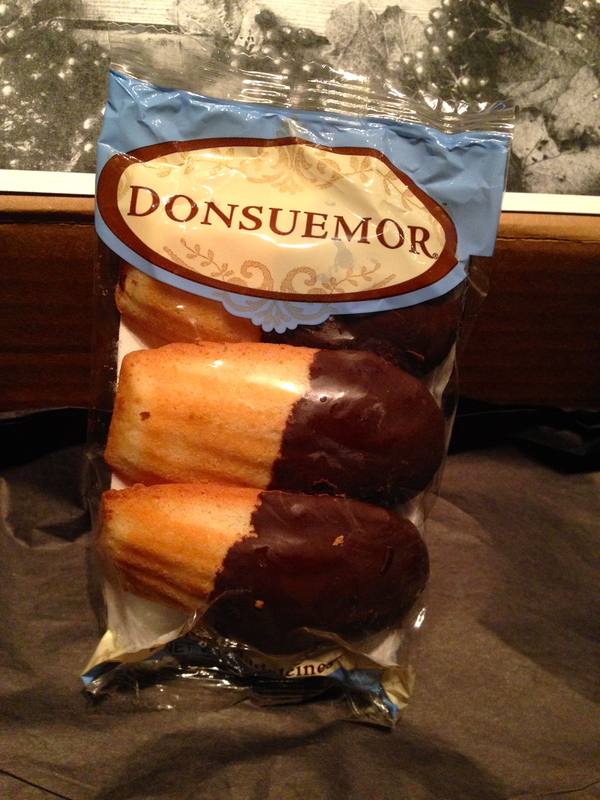 I chose to subscribe to the Gourmet box, but they also have boxes for Health, Sweet, or BBQ. 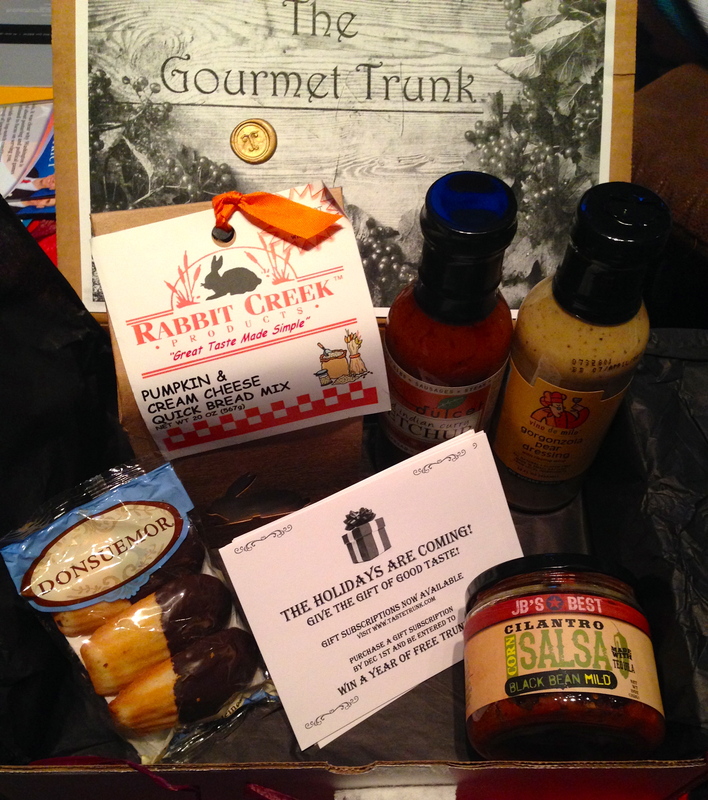 The Gourmet box “Features new items from the best gourmet lifestyle brands. Each trunk includes 5-10 products, discount coupons, backgrounds on the companies, and amazing new recipe ideas.” It is basically awesome delicious in your mouth every month. Taste Trunk costs $29 dollars a month, and you can cancel OR switch to any other box theme at any time, which is great if you want to change the flavors up! 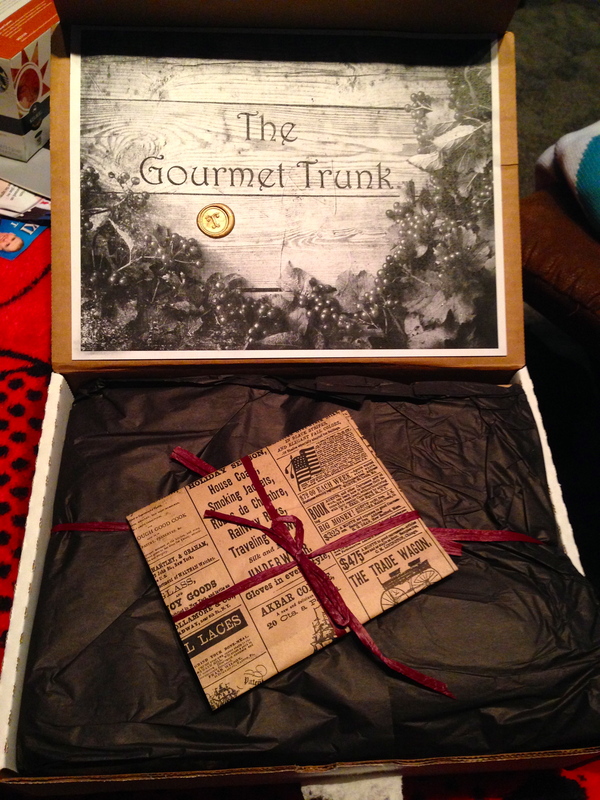 The Taste Trunk always comes packaged in a USPS box, with their simple brown box tucked nicely inside. It is simple on the outside, but as soon as you open it up, you see how nicely everything is organized and displayed. 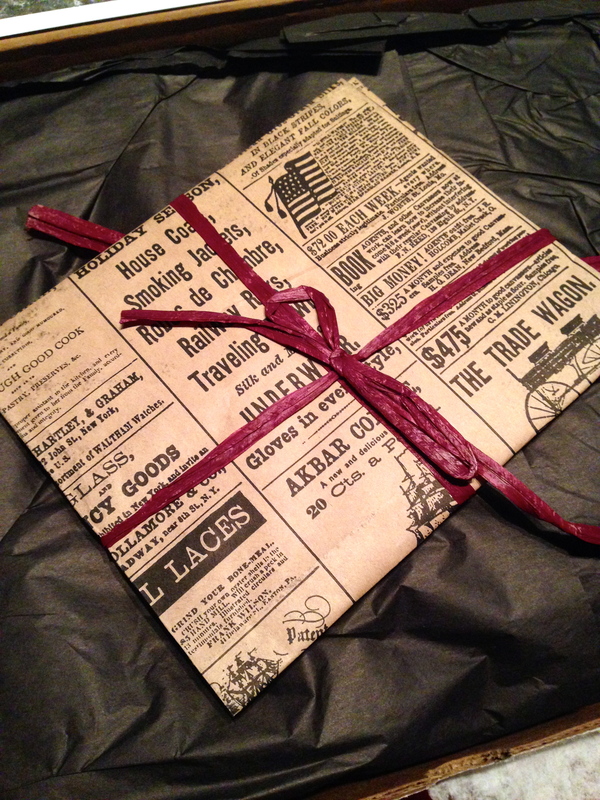 It’s always wrapped up cute and comes with cards detailing the products and also offering recipes for the various items. This quick bread mix comes in a cute little (heavy) package, and is a unique flavor of bread that I have never tried before! 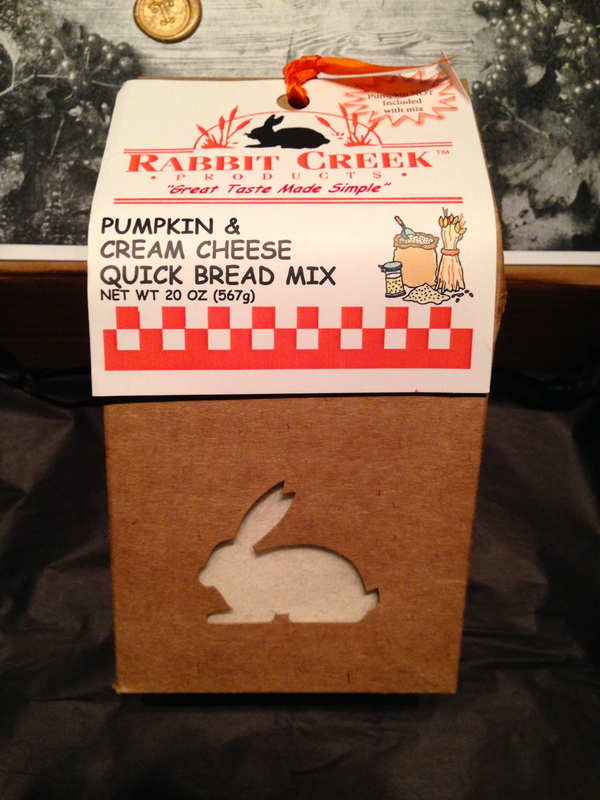 I am excited to whip this up one day and suprise people with my crazy awesome bread! 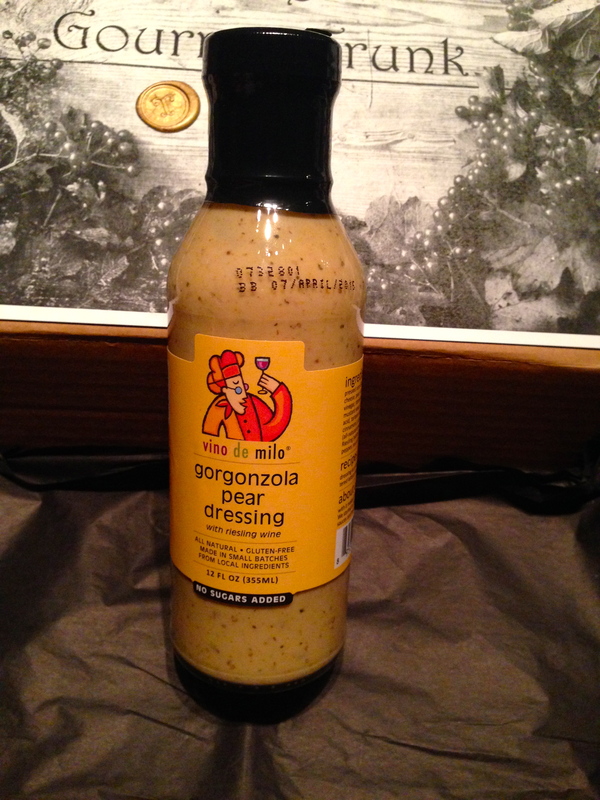 I was SOOO HAPPY to recieve this dressing! I am obsessed with sauces and this is such a strange, unique awesome flavor that I can’t wait to try on random items!!! They have tons of random amazing flavors- perfect for gifts! How can I NOT love this with a description like this: “This smooth tomato ketchup is full-flavored with a cinnamon finish that spices up sweet potato fries, lamb, sausages, steak, shrimp, and stuffed peppers. Mix in with meatballs or use on the side as a dipping sauce. Make everyday delicious and use on burgers, hot dogs, eggs and fries. 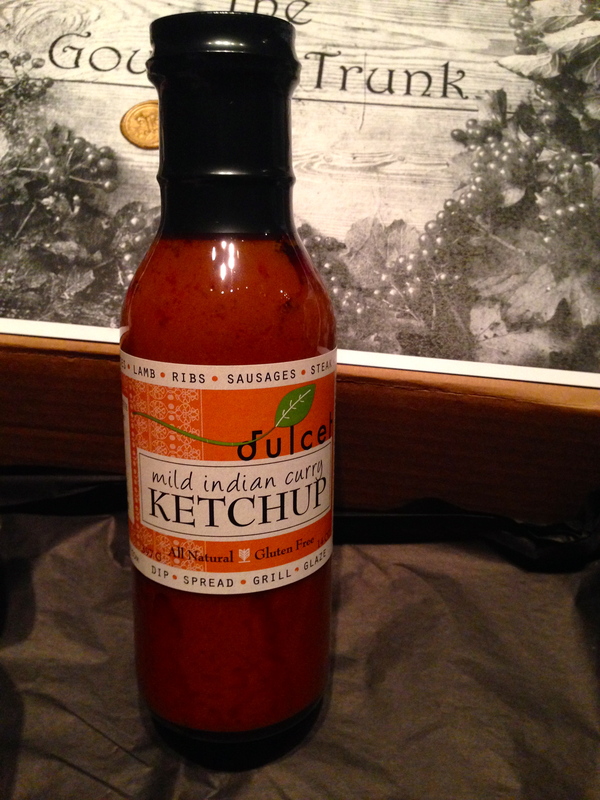 A ketchup for grownups and kids alike! ” …???? It sounds amazing!! I love all kinds of ketchup!! 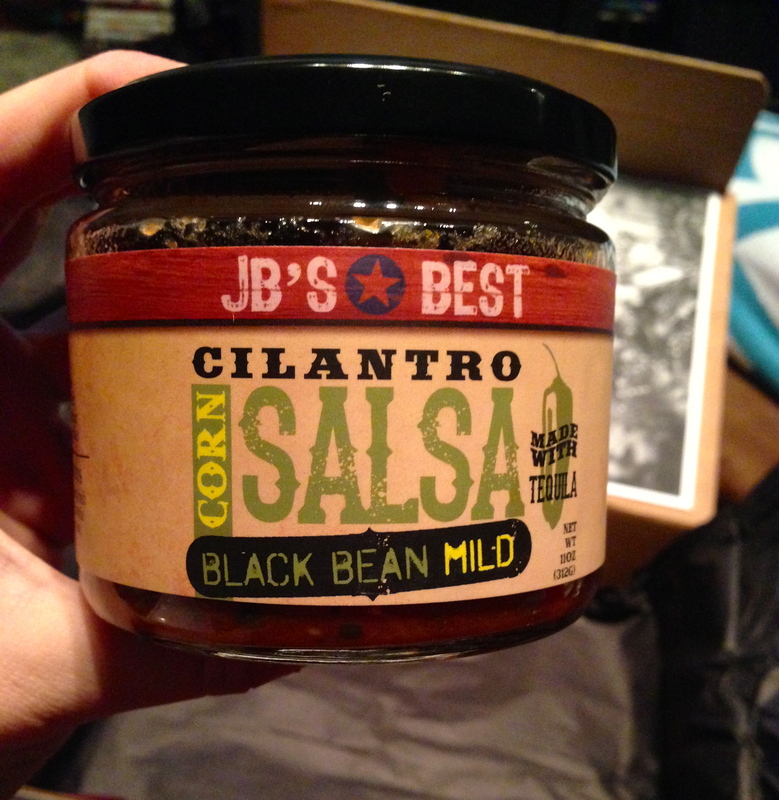 Every ingredient in this salsa just gets better & better!! Even though it’s only mild and I usually prefer a hot sauce/salsa, all the amazing ingredients in this salsa are making it all the most better!! Can’t wait to chow down on this stuff! The value is almost completely on par with what I paid for the box, but this was a HEAVY box with big and nice products, so I’m not too concerned on the price, more on the great quality of these otherwise undiscoverable gourmet yummy items! Hello kittys!! My name is Mary & this is my little space to share all of my obsessions. I can put a positive spin on almost everything, and I try to live each day with only good vibes in mind. I'm messy, odd, and loud, but that's just the way I like it.